Today 26th February, a significant day of the month, where it is marked by a SOLAR ECLIPSE! The eclipse will be visible in Chile South of South America and Africa, as per extensive previous post on this matter. I hope you will not be affected much by this eclipse, which is located in 8 degrees Pisces! 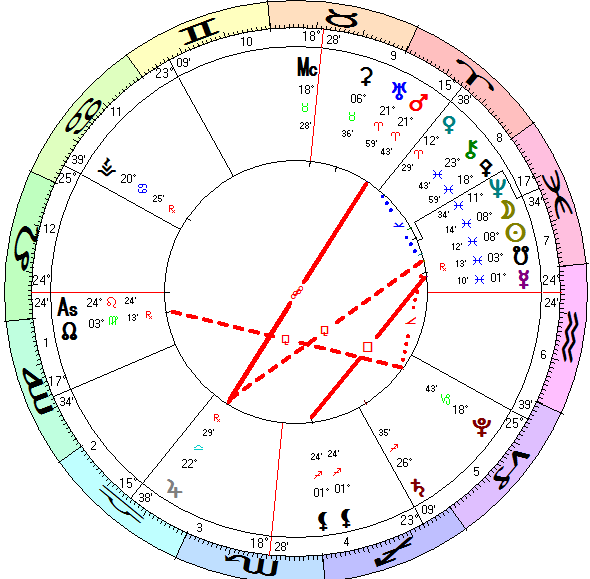 As you can see from the planetary chart below, this is not the only significant event of the day. We have the Sun-Moon combination sesquiquadrate Jupiter, who is also being opposed by Mars-Uranus combination! Why is Jupiter so unpopular I dont know! LOL Heliocentrically we also have Venus Trine Saturn, but the Earth is sesquiquadrate Uranus. Earthquake wise we have seen that the strongest event is the 5.5R in Vanuatu, an aftershock event of the very strong earthquake days back. 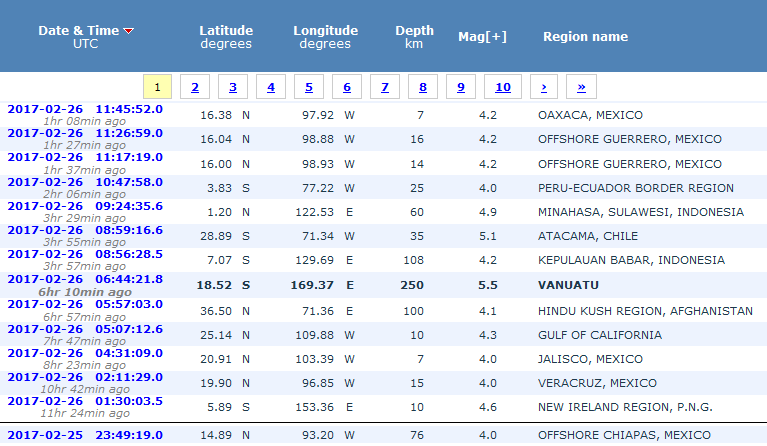 As expected Chile has shown signs of being affected by this 5.1R in ATACAMA today. All in all not a bad start, the tug of war seems to be balanced, let us capitalise on it and have a good day! Be Safe Be Happy Be Good! My Best Wishes to you all!